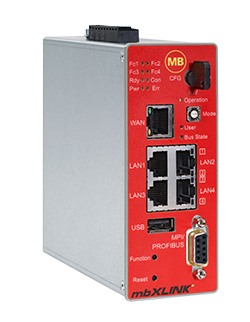 mbXLINK collects data from the field bus layer and brings it safely into the cloud. The safety concept is based on a data diode, which allows the communication in one direction only – from the field to the safe network. The return channel is electrically isolated and can only be activated by means of a key switch for configuration purposes. When many of today’s devices and fieldbuses were developed, Internet, Industrie 4.0 and Big Data were still unknown. Therefore these systems lack any security features for a direct networking, such as access protection with password or signed firmware-updates. 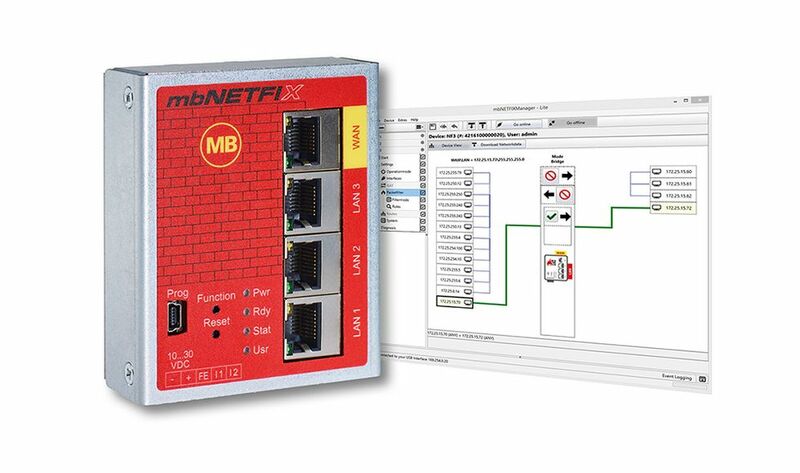 To make existing sites „Industry 4.0-fit“ MB connect line and Deutschmann Automation have developed the Secure Cloud Gateway mbXLINK.